Christmas Ornaments Made in USA - 2005 Official Support Our Troops Ornament - A Christmas Ornament Co. 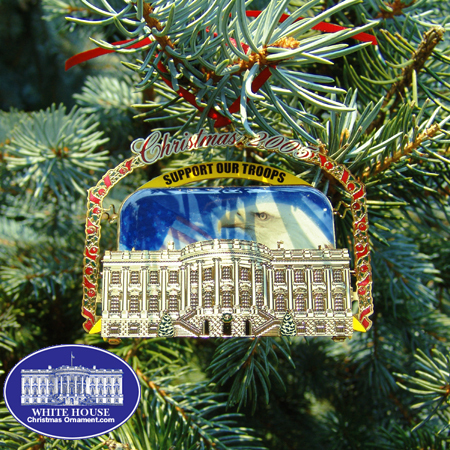 The Support our Troops ornament was made to honor our military personnel both overseas and in the United States. During the past few years they have been tasked with going to war with the Taliban in Afghanistan, and with the Insurgents in Iraq.